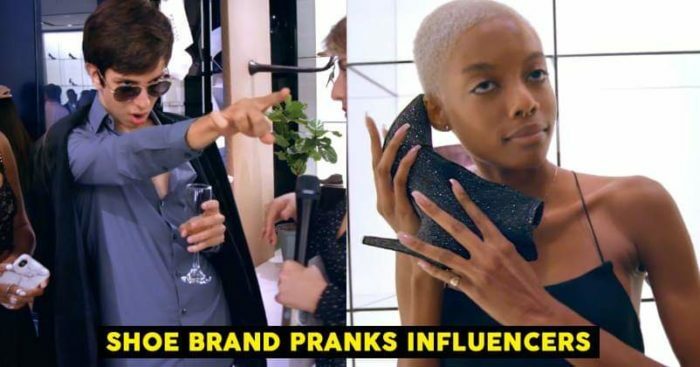 While doing a social experiment, an American footwear brand pranked fashion influencers on paying hundreds of dollars for shoes that are normally priced anywhere between $20 to $50. The brand named Payless Shoesource tricked VIP shoppers as part of a viral advertising campaign designed to change consumers’ perceptions of the brand. Payless took a former Armani store in California and renamed it to Palessi and filled it with their own discount footwear. To attract customers, they invited fashion bloggers and VIP guests to shop for the heels, tennis shoes, sandals and more at luxury rates of $200 to $600. This experiment got a huge response on social medi with a ton of comments. Many applauded the brand’s innovative marketing campaign. What does this say about society today? Brilliant marketing @PaylessInsider! Would it have worked in other cities besides cities close to LA or New York CIty? Good for Payless. I love it. What it shows is how shallow people are. Because payless is seen as a store for the lower class they don't want to shop there. But put the same shoe with a new name a BAM! GOT EM! Let us know what you think of this experiment in the comments section below.